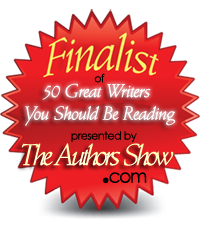 Ranked #8 in 50 Great Writers You Should be Reading. To 1970s Iran, you are not your own woman, but instead a pawn of the men around you. “The Ruby Tear Catcher” is the story of an Iranian woman jailed for her father’s political beliefs in the 1970s. Leila recalls a simpler time of her youth and how she falls into being punished for the sins of another. Drawing on the author’s own experiences, “The Ruby Tear Catcher” is a fascinating read, very highly recommended.